(Notification) IDBI : Assistant Manager / Executive Recruitment 2019 | BANK EXAM PORTAL : IBPS, SBI, PO, Clerk, IPPB, Bank Jobs Aspirants Community. The total salary, comprises of basic pay plus such other allowances, as admissible to the officers from time to time. The extant basic pay applicable to Assistant Managers in Grade 'A' is Rs.23700/- per month in the pay scale of Rs.23700-980(7)-30560-1145(2)-32850-1310(7)- 42020(17 years) [Pre-revised]. The candidate will also be entitled to such other perquisites/facilities/ benefits, etc. admissible to Assistant Managers in Grade 'A'. The pay scale, allowances, reimbursements, perquisites and other terms subsisting at the time of joining and as may be modified / amended / revised from time to time would be applicable. The gross salary for the post of Assistant Manager (Grade A) at metro center is Rs.60000/- p.m. (approx.). Candidates can apply only online from 04.04.2019 to 15.04.2019 from official website and no other mode of application will be accepted. e-mail ID. In case a candidate does not have a valid personal e-mail ID/mobile number, he/she should create his/her new e-mail ID and obtain mobile number before applying on-line and must maintain that email account and mobile number. In case of non-reaching of the communication /information due to technical defect, error or failure, IDBI Bank shall not be responsible for the same. a. The selection process will comprise of Online Test followed by personal interview of the candidates, who have qualified in the online test. The online test will be objective in nature. The details of the same are furnished hereunder. b. The applicants will be called for the Online Test based on the information provided by them in the online application form, subject to scrutiny at a later date. c. Penalty for Wrong Answers - For each question for which a wrong answer has been given by the candidate, one fourth or 0.25 of the marks assigned to that question will be deducted as penalty to arrive at corrected score. If a question is left blank, i.e. no answer is marked by the candidate; there will be no penalty for that question. d. The applicants, who are successful in the On-line test, would be called for a personal interview. 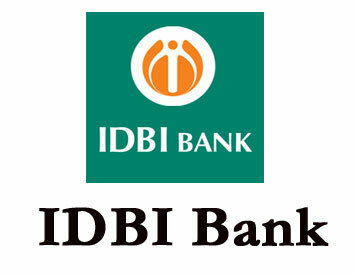 While the number of candidates to be called for interview will be at the discretion of IDBI Bank, adequate number of candidates in each category, as decided by the Bank, will be called for Interview. During interview candidates will have the option to answer the questions in Hindi or English. Applicants qualifying the personal interview shall be considered for final shortlisting. e. The final selection or offer of employment would be made based on applicant’s marks in the interview, Online test, being found medically fit and subject to fulfillment of all other eligibility criteria with regard to age and qualification as stipulated in the advertisement. Reference for medical test does not imply final selection, which may please be noted. ii. Penalty for Wrong Answers - For each question for which a wrong answer has been given by the candidate, one fourth or 0.25 of the marks assigned to that question will bededucted as penalty to arrive at corrected score. If a question is left blank, i.e. no answer is marked by the candidate; there will be no penalty for that question.